Well it's been a busy 2 months since my return to New York City! I've returned to the grind of my survival restaurant job, I played a show with a band for the first time, and I've been making moves on the business (yuck) side of music. I'll briefly say that my show at The Studio at Webster Hall was soooo much fun. Elliot Lane and Dominic Lynch joined me on stage, and playing with them gave me so much pleasure. They are such wonderful, patient musicians and I can't wait to reunite for another show with them!!! Back at the survival job, by crazy coincidence and by hug of the universe, I ended up meeting a fellow Arkansan (GO HOGS WOO PIG SOOIE) named JJ. JJ also happens to work for ASCAP, one of three big companies that provide songwriters with performance royalties and service rights. I had been trying to decide for over a year which PRO to join. Needless to say JJ was amazing and totally hooked me up, and now I am an official member of ASCAP, and I have my own publishing company called TREEHOUSE PRESS. (cute logo coming soon). While browsing the ASCAP news and events, I came across an ad for a songwriter contest called "One Song, One Take". 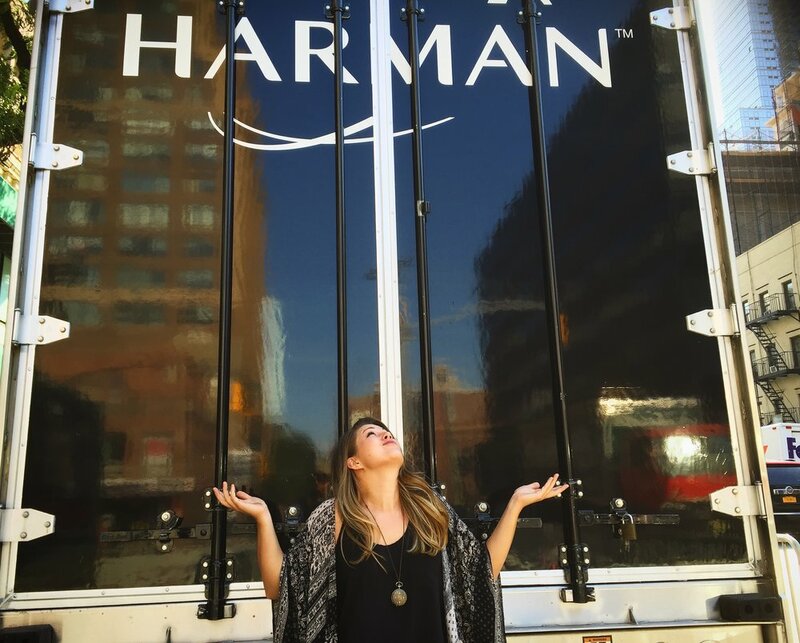 Harman, who is the parent company for brands such as AKG and JBL, is driving this huge mobile recording truck around the country. They've selected a number of cities, and in each city chosen 8 artists to come and perform one of their original songs inside the truck. They record a video of your one take of your song. Fortunately, I was able to participate in the New York City stop! I performed my newest song called Fool (a name I totally forgot on camera while introducing myself, good grief), and met some really cool NYC artists. The truck was so decked out, and the engineers running the show were super awesome. Each of us got to take home an AKG D5 mic (thankyouican'twaittouseit)!! Now is the waiting game. After they hit all the cities on the tour (around the end of October), a panel of judges view all of the videos. Around 30-40 are selected and move on to Quincey Jones, who then chooses 10. These top 10 move to the internet where fans will vote. The final winner is flown to LA where they will record their song at The Village Studio. So friends, fingers crossed that my video gets chosen!! Only time will tell. 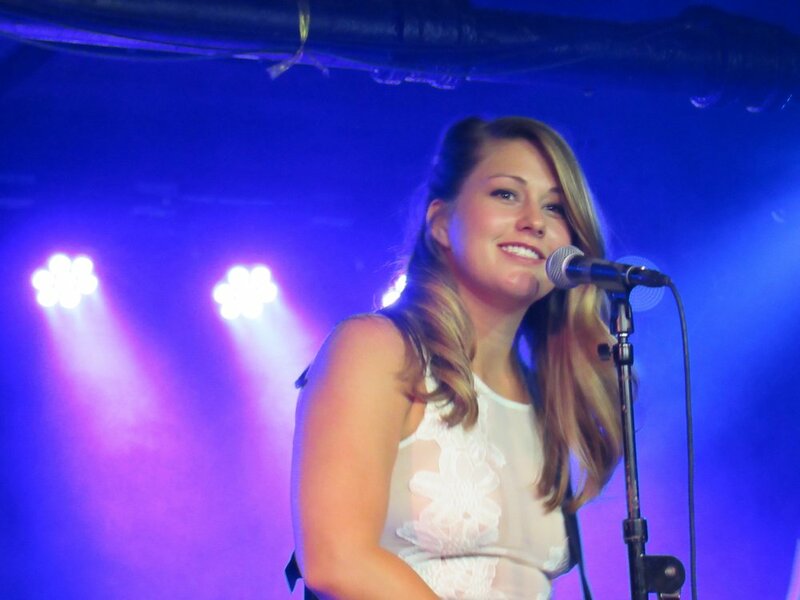 Alex Fry is a young singer/songwriter based in NYC. She recently released her debut EP titled Brave New World, which you can find in online stores such as Itunes or stream on Spotify.